David Price - Sean Turner Fight Off? 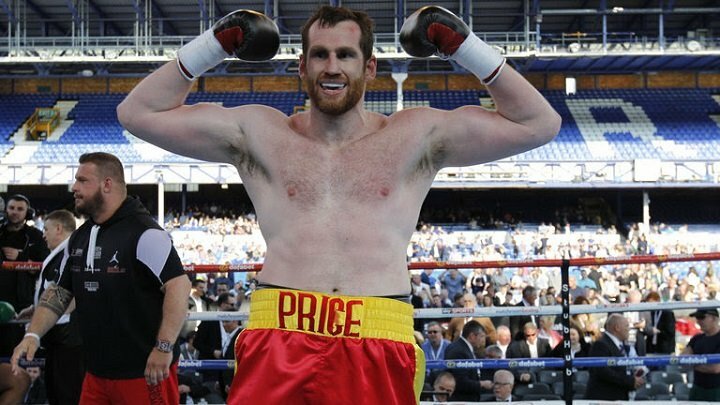 David Price – Sean Turner Fight Off? British heavyweight David Price will, it seems, have to find another opponent for his latest ring return. Price, last seen giving it a real go before ultimately being brutally knocked out by Russia’s Alexander Povetkin in March of this year, was to have returned to action against Ireland’s Sean Turner, the fight to top a bill at The Titanic Exhibition Centre in Belfast, Northern Ireland on October 5th. But now, according to the ever-reliable Irish-Boxing.com, Turner, 12-3(8) – who would have been returning to the ring following a KO loss of his own, at the hands of the unbeaten Nathan Gorman in June – has withdrawn from the fight for as yet unconfirmed reasons. Turner may or may not be injured, while he may or may not have had second thoughts about tackling the big-punching Liverpool giant. There is no word yet on whether or not Price, 22-5(18) will still fight on the October card and/or who he might face should this be the case. Many fans felt strongly that Price, now aged 35 and having been the victim of four nasty stoppage defeats, would call it a day and retire after the heavy loss to upcoming Anthony Joshua challenger Povetkin. But the former Olympian and former British champ decided to give it one more go. The Turner fight was gathering real interest, with fans expecting a probable slugfest. Now Price is back to the drawing board as far as finding himself a suitable foe to return against. Price-Turner was to have gone out live on Box Nation and topped the bill. Now that this fight is apparently off – with the Declan Geraghty-Marco McCullough fight also off the bill – it is assumed the Tyrone McCullagh-Josh Kennedy fight will now headline the card, should it still go ahead. Price though would have been (and may still be) the big attraction. Fans everywhere both like and admire the big man and though he has undeniably endured his share of bad luck and has suffered bad defeats, these same fans root for him and hope to see him land one of his big punches on a big-name heavyweight and beat him. Price will no doubt be badly disappointed due to Turner’s pull-out. You are here: Home / Boxing News / David Price – Sean Turner Fight Off?